Jack Butala: Mike Dugan, a new and incredibly successful member of Landacademy.com, is a data base developer, and business intelligence programmer from Grand Rapids, Michigan. 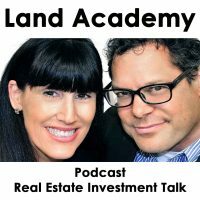 He’s dabbled with traditional, single family residential real estate in the past, but he’s currently focusing his efforts on making money with rural land investment through his company, Availableland.com. He’s been married for 28 years, and has six children. Wow. We’ll skip all that other stuff. How does that go with six children? Mike Dugan: My wife’s been a homemaker for a long time. She bears the brunt of the work, honestly. First four were natural, and then we had a gap, and the last two were little girls adopted from China. Yes, it’s been a fun journey with that. We have from age 30 down to age 6 right now. Jack Butala: That’s what I was going to ask you. Can you [inaudible 00:00:59] all the stats, like their names, their birth dates, and their ages, all in a row? And then do it backwards? Mike Dugan: Not so much. Jack Butala: Because I have one kid, and I really don’t know when his birthday is. Mike Dugan: Yeah. Social security numbers, [inaudible 00:01:15] I think I have all those memorized. Jack Butala: That’s why you’re so good at this. Jill DeWit: I love it. Are you in Grand Rapids, Mike? Mike Dugan: I am in Grand Rapids, Michigan. Jill DeWit: I forgot that detail. What’s the weather like, right now? Mike Dugan: We had an awesome break. Halloween was awful, rainy, and cold and miserable. Then the next day it broke, so it’s sunny, we’re in the 70s now, got those nice leaves on the tree, just great weather that’s supposed to last for maybe another week, and then the not-so-good stuff is probably going to start happening. Jack Butala: Jill’s whole extended family is from Grand Rapids. Mike Dugan: Oh, I didn’t know that. Jack Butala: Jill, yeah, you still have family, don’t you? Down there? Jill DeWit: I do. I still have family, a. And I do have family there. Yes. Yes, in Grand Rapids and, in case you’re listening, my favorite aunt and uncle are in Byron Center. Jill DeWit: Yeah. They’re two of our four listeners. Jack Butala: Mike’s got six kids, so we have ten, now. Jill DeWit: Oh, we have ten listeners. Great. Jack Butala: Mike. Like alluded to, I wanted to have you on the show, and thanks again for the last minute thing, I see it in success plan, reporting incredible results. First of all, how did you find Land Academy, and what made you decide to kind of go down the path with our program? Mike Dugan: I think it’s, basically, I’ve always thought there was money to be made in real estate, and I kind of, as my biography alludes to a little bit, dabbled with the single family residential with very limited success. Nothing to show about at all, and actually got a little bit of a black eye, and a couple transactions that made both my wife and I skittish about jumping into anything like that again. I kind of knew that there was money to be made, but she was very tentative, and hesitant to even talk about real estate-type stuff again. I think, probably a year or so ago, I think I had found my way under the bigger pockets forums, and started just trying to see what people are doing, how people are making money, and that seemed like a very legitimate, great place to learn about all different aspects of real estate. I think somewhere, in there, I started to see the postings, or maybe some of the ads regarding the land business. I kind of took a couple hops into your program. I think I found one of your competitors first. I purchased their program, and it was okay, but the material itself, and the logical order of how things are presented, was not great. It was kind of haphazard, and I’m kid of an analytical guy. That was just frustrating to me. It seemed like I knew there was something to this, and there was something with the land business, but the program didn’t really wow me. But it did show me that things were possible, and so I think in doing that, I think from there, somehow I found my way into your websites, and I’m not sure which one I hit first. 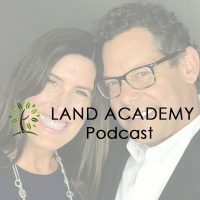 When I started following you, it’s not been that long since you put out the Land Academy program, and followed that release, and based on how the writing style, and the blog posts, the podcasts, and just some of the communication going on, just seemed like this was a better way, for me, at least, to learn. I think I was one of the early adopters, or early on-board with purchasing the program, and I was very satisfied and happy when I got it. It was very professionally, and well done, laid out logically went through things, and the order, I think, you would want to go through. As far as I perceived. I was very happy with making the switch, and then started to do, thinking about how to work the program, really. Jack Butala: That’s great. I’ll tell you, one of the things that happened with our member-base, that was completely unintentional on my part, when we launched all this, is how technical and, everybody, most of the people in our membership seems to be pretty technical. Seems to want to have things laid out from an A to B to C kind of thing. Show us the whole transaction, from start to finish. It’s something that many, many people have asked me to do, long before we put the program together. I’m glad you see it that way. I don’t know how else it could be written or explained any better, from an A to B to C standpoint. Do you? Mike Dugan: No. And again, I’m a technical guy, a programmer, databases, and do a lot of excel work, so in my heart was just singing and jumping the videos of you jumping and skipping around excel, doing pivots, and swords and all that kind of stuff. I knew I was in the right place. Jack Butala: That’s great to hear. Jill DeWit: I love it. Can I jump in? I want to say, first, thank you, Mike. I really appreciate your kind words, and I’m really glad that you got what we put into it. B. What about my parts? Mike Dugan: Your parts were awesome, too, Jill. Again, the acquisition and purchasing, the analytical side of the world came first, so I was just addressing that first. Delving in the sale side, your praises will be sung, don’t worry. Jill DeWit: It’s all good, because it’s funny, because yeah, you can clearly tell when you’ve been to the program. Steven’s forte and he’s really good at that, and that’s so not my thing. My forte, why it all works well together, I’m glad. Thank you. Jack Butala: Putting that whole thing together, and I’m like, this is going to be dry and boring, and all technical, and turn everybody off. So, I said, you know, we got to put Jill in here. To make this entertaining a little bit, and fun, and stuff, and I think it worked out okay. Mike Dugan: Oh, yeah. It’s awesome. The funny things that happen is 45 minutes before this call, I got a Google voicemail from another response on that first mailing I did. It had been kind of quiet. I got great response, we talked earlier on another call. It’s just great that calls keep coming in, but the part that Jill’s going to help me with on that, is this guy sounds like he’s probably 140 years old or something. I can barely hear him. Probably on an oxygen mask. The part I understood was, well, I paid 20 thousand dollars for this 15 years ago, I want to talk, but I’m not sure that’s the right price, so Jill’s negotiating and kindly beating people up on price will come on handy, probably right after this call. Jack Butala: I want to know exactly how you got from buying a package to doing real estate deals in a second, but Jill, I want to hear your answer. What’s your answer, about how to handle somebody who’s 140 years old, clearly overpaid 20 or 30 years ago for a property, they’re on oxygen. What else did you say, Mike? Oh, you can’t understand what they say. Mike Dugan: [inaudible 00:08:47] I know he’s probably at the early blue plate special somewhere. Jill DeWit: Exactly. Oh, gosh. I just befriend them, and just talk really nice, and once that I explain that’s great and I appreciate that, but gosh, here’s what it’s worth now, and I’m happy to do it, and I’ll make it really, really easy for you, and I’ll hold your hand through the whole thing, and your daughter what? Oh, okay, well, I’ll help that, too. Just that kind of thing. What’s interesting is, some people like to send them pictures, and images, and kind of show them, I know you really thought this was going to really develop right next door, but here’s an aerial shot showing you, unfortunately, the mall didn’t come in. Or the whatever didn’t do it. Then they kind of get it. Some of the older people, I’ve had people they don’t even have email. It’s actually kind of sweet. They don’t fax. They mail you stuff. It’s kind of funny, but it’s okay. Sometimes, too, if it doesn’t work out right now, sit tight, in a couple of months it might workout, because you might be the only person that’s willing to work with them, and offer them something for it. In a few months from now they might say, Okay, we’ll do it with you. We like you, and all that, and you’re going to help us. So there you go. Jack Butala: I look through, Jill, I look through our acquisition listing, all the pending acquisitions that we have, and there’s a deal in there. This is good for you to hear, too. I lived through the whole rest of acquisitions as your deal in there, that is 200 acres in Texas, there’s three properties. A hundred, and then a fifty and a fifty. 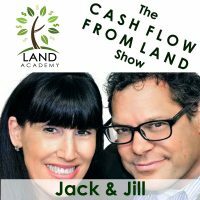 We record a lot of the phone calls, not all of them, some of the phone calls between the people who we purchase real estate from, and sell it and stuff, and I found the call, the original call between you and this woman, Jill. You did exactly what you just described. We should do a podcast on this, where you listen to some of the calls and then talk about it, because by the end of that call, she just was ready to do this transaction with you. In fact, I could tell that if she’s talking to somebody else, or she wants to list it with an agent, or anything, I don’t think she will. I think she wants to hear from you, again. Jill DeWit: It’s really nice. Jack Butala: You have that touch, somehow. Jill DeWit: Well, I make it easy for them, and I, they thank me. They’re like, gosh, thanks for making it easy, I didn’t even have to go to the coffee shop, you had the notary come to me, you had it all ready to go, and a check in my hand, and two days as promised. I get nice thank you notes afterwards. They want to get something for it, and it’s all good. Jack Butala: Yeah, that’s great. Mike, start from the beginning, please. You purchased the program, you went through it, and then what happened? How did you get to this large transaction that you’re doing? Mike Dugan: Basically, I went through all the material, and I made a commitment to myself, because I think this is where I may have gotten stray in times past, is that I was really going to follow the program to a T. I think I’ve sometimes got emotionally involved, like in a single family residence, where I talked myself into it, being worth more than it was, or juggling the numbers to make it work, so I really made a commitment to myself, this time. I’m going to work with the ratios that I see, in the program. I’m going to do things by the book. I’m not going to vary at all, or if I do, very little. That was number one. These people are doing this successfully, I’m going to do this. I’m going to try to be emotionally detached from this as much as possible, and just work the system. That was kind of the foundation of even starting. Then, the thought of mailing out like a hundred letters a week or twenty a day, which I think was the suggestion either in your program or other programs, is maybe where a lot of people start. I happened to have enough extra money laying around that I wanted to really just hit a good chunk of people with mailing. I went ahead and did the two thousand unit mailer for five acre parcels in a certain county in Colorado. Again, did that by the book, got the list from the county directly, I didn’t have to do the pay for service type thing, as of yet. I know I probably will as I get other areas, but for this county, it’s available for free. Jack Butala: Good, good. Okay. Mike Dugan: Yeah. It’s very filterable. I was easily able to extract what I wanted, and work with the mailing company that a lot of people use. I forget the name, actually, right now. I think it’s on the form. Letterpername.net or something like that. They were great to work with. I followed the program as far as having in the front cover page, did the mail merge, just swapped out name and phone numbers, and things like that. Really followed the mailing part of this thing as far as gathering the list, and doing the mailing per the instructions. Really, without variation. Data, PO box setup at a pack mail, got a Google voice number set up so I don’t have to take the disgruntled, I can’t believe you’re offering me this much phone calls that we all get when we start doing this. Or continue to do it, I guess. Sent those out, standard mail, and I think one of the things I didn’t realize with standard mail does have the delay that they say you’ll have, two to three weeks, so it was kind of quiet. Wasn’t a hundred percent sure that my mailing had really gotten out successfully, but then started to get the response. I got phone calls on my Google voice, I got faxes into my fax-to-email program, got letters into the PO box, I think got a few emails, where people scan and email back. Maybe had one or two, actually, from the web submission form from my website. I got communicated to, through all those different methods that we were taught to set up. That was kind of step one, I guess. Jack Butala: That’s a good step one. Mike Dugan: Once that started coming, again, I was not prepared that I had, was going to get the response I got. I started getting a lot of calls in the next two to three weeks, and I kind of see the wisdom of doing 20 a day, or a hundred a week, because you kind of spread out your offers with what you have to deal with. Not that I’m complaining, but for two or three weeks I was taking a lot of calls, trying to learn for the first time how to deal with the county resources, and talking to people, and so it was kind of just thrown in the deep end and seeing if I could swim or not. It was a great experience, I wouldn’t change it. Again, I do see the wisdom of being consistent, maybe smaller with your mailing at times. Yeah, that took me to that step, and I had all kinds of things happen as far as some of the voice mails I saved because they’re so comical, and played them for my wife, just some of the rude and responses that you get from people. Got faxes back where they said, yeah, we’d like to sell, but crossed up my price, and put in their price. Got plenty back that said, yeah, let’s talk. In that first wave of two to three weeks, I had, I’m going to guess, forty to fifty people that responded in some way. Out of that, I got 11 parcels that I’ve purchased, at the price that I wanted, and I have four to five that I’m going to call back after I sell two to three, and I probably can pick up maybe a little higher than my initial price, but as I got some experience in the market, and as I sell these and see what I can sell them for, that will let me know if I can go up on my purchase side, and still make money. That’ll give me a little time to do that, and I’ve had good initial contacts with people, so they’re kind of waiting for me to get back. Some of those were the kinds of things you talk about in the program. There’s a will involved, or probate, or my mom left this to me, and I’m not sure what the deed, how it’s actually worded. I took the low hanging fruit first. Again, per your instructions, you very clearly say, hey, work on the easy deals. Get to the complex ones later. All of those are on a pile that I want to go back to, I can get into, and take time and work. These kind of were just straight up get a notary out to them, get them a cashier’s check, and do the deal. The other cool thing was per the instructions, as always, see if they have more, out of these eleven I purchased, one of them was a group of four from one person. I asked the question, or I think they might have even brought it up before I asked the question. One of them was a four [inaudible 00:18:36] deal, it’s been great. There’s four or five more with some work, I think I can get close to my price. That got me my initial inventory here. All these deeds, as of three or four days ago, all had been recorded. I haven’t gotten all back yet, but in talking with the county people, they’re all officially recorded in my name. Or the company’s name, I should say. Jack Butala: Your workday sounds just like ours. I hear like, what? Two months into this? We’re fifteen years into it, and I’m serious, I’m proud of you, man. It’s great. Mike Dugan: Oh, great. Like I said the program is very well laid-out and again, it was fun to listen to. Had the right amount of inspiration and levity, and all that to keep you interested when things potentially could get a little dry, or academic, or whatever. It was great. Jack Butala: What are the raw, raw numbers? You sent two thousand out, right? All in one county? Mike Dugan: Yeah, one county, all one five acre size. Couple different areas, but five acres and I believe we were also taught that by doing that you kind of hopefully get things that are often, in the same price range, or per acre range, so that when you’re making your offers, you don’t potentially have to do as much individual per-parcel research. You can kind of deal on similar type things. That proved to be true with these. My one or two parcels. Jack Butala: Now, you think you probably, the low-hanging fruits, like you said, you’re going to purchase, or have purchased, how many units? Mike Dugan: Eleven are purchased, one was quickly slipped, just for like six hundred dollar profit to another land seller, with the pure intent of proving to my wife that [crosstalk 00:20:33] money be made. She’s very nervous, because what I did is, you know, I’m all in on these. When I cut my notary, and my photography fees, postage, land, and the mailing, I’m all in on ten parcels, or eleven parcels, for 14,200. I’ve got roughly 1400 or whatever the number is per parcel. That’s, I know individually I should be measuring them, but kind of in my mind, I’m viewing this whole set as a transaction and looking for profit out of it as a group. Jack Butala: What do you think you’re going to sell them for? Mike Dugan: Again, the first one was a quick flip, just to make my wife feel comfortable that this is a real business, and you really can make money, and people really do buy stuff that we might not buy. Another part of the program says that one of the things you really need to make sure you do is trying to contact or work with neighbors, because they often are the people who will want to buy the property to either do a buffer, or add to the property. On one of these properties, that I knew was a little better than the other ones, I had my photographer when he was out there, throw a for sale by owner call Mike at my phone number sign in the yard. Three days later, I got a call from the guy, and said, hey, we just saw this, and I own the lot on either side of you and behind you, what do you want to sell it for? I did he salesman thing and said, well, I got a realtor going out to look, let me see what he says it’s worth, and you think about what it’s worth to you, and we’ll talk next week. Again, the realtor, by the time all the fees and the sale price of close to 13 got done, he thought that probably I could net ten thousand on that one, and the neighbor, we negotiated a bit, and got to where he’s, he and I said okay, to eight thousand. That is, he’s in the process of finding a notary, that one I had to do with him is because I didn’t even have that deep back, yet. Jack Butala: That’s what Jill does. Jill DeWit: Isn’t it great? That you sold that, let me just see if I can do white out here. Mike Dugan: He didn’t know that I really owned it. He’s goes, who’s this Glinda lady. Well, I bought it from her, but I don’t have the deed yet. I had to get a copy of that, and get to him. He will be finding a notary appear, sending a cashier’s check, and we’re supposed to do that by the end of this weekend. I figured, the bird in the hand type analogy, is I could wait for ten, it might take a month to six months but, if I can get eight, without even have to do any of the selling side work, it’s supposed to be starting out let’s just, do it. That gives me 300%, which is kind of one of our target numbers in the program. Jack Butala: Yeah, it’s three time what you paid. Mike Dugan: Yeah, exactly. I said, yeah, that seems like winner to me. So yeah. Again, that should close by the weekend, here. Jill DeWit: I have to say, Erin and I were talking about this. The numbers that we are just casually throwing around I think, for the rest of the world is like, what the heck? Erin and I were talking today about just big picture stuff. What do you think WalMart’s return is and, look what we talk about, and you guys are doing it right now. It’s just amazing, what even two hundred percent, double your money, not even. It’s just amazing. I appreciate, too, I know, Mike, sometimes it’s hard, and we even catch ourselves sometimes, can’t get emotional, can’t get emotional, you know. Look at it as this numbers thing, and you did awesome. I am so impressed. Jack Butala: I catch myself all the time, saying, aw, we’re only going to double our money on this. We’ve got five hundred, eight hundred dollars into this piece of property, and the guy wants to offer us four thousand dollars for this? No way. Then I catch myself, same thing, and I’m like, this is insane. Jack Butala: Well, that one deal is going to recoup, then you’re going to be left with probably about ten properties that are pretty close to, if my math is right, you only, you recoup most of the cost in the first deal, and the rest of it for the most part, is margin. Mike Dugan: The projection is, that there were two properties that were better than the other eight that are remaining. My goal is to, with the one that’s selling this week, and the next really good one, that between those two, I get at or beyond my fourteen thousand, whatever all in cost. Then the other eight, what I can make on that, that’s just pure profit. That’s how I’m kind of looking at it, those eight are all the pure profit of this kind of first mail. Yeah, it’s going to be those eight are very similar, and those are the, that’s the part where I’m going to probably be putting on the salesman hat and maybe looking at the terms deals and just haven’t thought that part all the way through, yet. Jack Butala: Obviously, you’ve followed the program to the letter. What do you think these are worth? Because that’s one of the things I talk about all the way through. Don’t ever buy anything unless you know, for pretty certain, that you can double or triple or more. Make money on it. What do you think the rest of those properties are worth, combined? Mike Dugan: Yeah, per the research we’re instructed to do on ebay, I see very similar things selling at the bargain basement, cheapest you can find for about $4100. I purchased them at roughly 12 to 1300 dollars a parcel when I add the other stuff in, and factor off the two slightly more expensive ones. I will be able to, if I want to do the ebay route and just sell them quick, and dirt cheap, then I can do that and at least double or triple my money pretty easy. Again, I believe, from what I see, and I’ve learned that Craig’s list and Land watch and some of those other places, I can do even better than them. That’s what I want to work through and post [inaudible 00:27:04] and all that good stuff. Again, it’s just been having the time to actually think all that through. Now that I have all the deeds through, getting this thing back, again, even my pictures aren’t all back, yet. My photographer, I overwhelmed him. I sent him out to do like six or eight properties all at once, and he’s just this part time kid, and now he’s got to go all over this county in Colorado. Some of my pictures aren’t even all back in, yet. I’ve got to get that marketing side up to speed. Yeah, I think easily, on average, I should, I can’t see how I can’t make three thousand profit on each one of those without doing too much work and a lot more if I take my time. Jill DeWit: I have someone who wanted to ask about did you have any hesitation or anything? You’re in Michigan, they’re in Colorado. You’re not out there. You’re not looking at them, you’re not seeing anything, you’re not even talking to your sellers face to face. Did you have any, I’m just saying that for people that are considering this, it seems like it’s a question that comes up. Do you have any advice for them, about doing it in another state? Mike Dugan: I don’t. I think one of the reasons I don’t, is because I think three or four years, just in my looking around on ebay, trying to think what could I do personally to do something, a little extra money, I found some of these land sellers on ebay. I think that I found property in Colorado, and Wyoming, and Nevada, and Texas. All those things look like great deals to me, that would yield a hundred, to two hundred dollars down, hundred dollars a month for five, or ten, or twenty acres. I remember being an analytical guy, not easily given to that, but that seems like a great deal to me. I was happy and ready to do it, without seeing the property. I think to my self, on the purchasing side, I was easily happy to do that. Yeah, I’m purchasing sides, the same thing. I just applied it so then I always get pictures of the place, and I see that other people are buying and selling stuff that looks the same as my pictures. Why do I have to be there? Why do I even need to see it on either the purchasing or the selling side. I really don’t. Jack Butala: You are warmed up to this business model before you started. Mike Dugan: Oh, yeah, I was. I think, Steve, what really warmed me up to it was about four years ago, we go down to North Carolina, into the mountains every year as a family vacation, and we were looking to buy a three, four acre lot to someday build a cabin on. Which is kind of part of the dream we help people see and on the purchasing side, our selling side, the purchasing side, and I ended up getting three acre deal there that was 50 or 60 thousand dollars, that I offered 30 or 35 on, 35 I think, to a person who had to change her plans because the husband had cancer, and their whole life changed. I almost felt bad offering that low, but it really solved their problem. It got them money, it got them out of an obligation, and it got me a great deal. I actually, without even thinking I was land-buying and selling as a business kind of did what we do. Not quite the same margins, but when I started hearing about land selling as a business, I said, well, I’ve already kind of done this, somebody needed to get rid of her property at a much lower than normal price, and I was happy to provide it, and they walked away free and clear of a burden. I got a great deal, to me, it’s like I’d already actually done this once, without even thinking about it. Jack Butala: That was the bug that bit you. That deal. Mike Dugan: That probably was, yeah. Jill DeWit: You know, I love too, like you just said, you solved their problem, too. Everybody walked away happy. Mike Dugan: Yeah. Really did. This was just probably a broken dream to them that they would never be able to have, and I just, every month they made the payment, it reminded them, so then got that off their plate, and got to deal with their medical issues, and have extra money for whatever. Jack Butala: You’re going to make between 20 and 40 thousand bucks on this first mailing. Mike Dugan: Yes. Easily, 20, shooting for closer to 30 to 40. Jack Butala: That’s just amazing. Jill DeWit: Is your wife shopping? Jack Butala: We do it here every day. Jill DeWit: Is your wife shopping today? Mike Dugan: No, no. She’s warming up to the business now, let me say it that way. As she sees the response, she still says, I think not even two days ago, she was telling one of her friends, she goes, I can’t believe it. It’s a desert. Why would anybody go out and buy this? I don’t get it. Honey, you don’t have to understand. There are people who want to disappear, they want to throw up a [inaudible 00:31:55] and be there most of the time, or hunt. Doesn’t have to be something we want, or that we would do. We need to know there’s a market, and people will buy it. Jack Butala: If I had a nickel for every time somebody asked me that, or said, or made that comment. It goes all the way up the chain. Very successful commercial real estate people, every time I talk, we start to talk about this thing, they can’t believe it, either. It’s not just your wife’s friends. People don’t understand why the middle of nowhere type property can be so profitable. Which is great. It works out for people like us, because just keeps a lot of people out of the business. Mike Dugan: Yeah. That works out well. Jill DeWit: It does. What are your goals? Have you sat and mapped out the next two years, for you? Have you faced somewhat what’s happening right now? Are there some big changes coming? Mike Dugan: Yes. My next goal is to once I sell this other property, and hit my break even for this first mailing, I’m going to do another mailing for the next acreage up, which is the 10 to 20 acre type range in the same county. I believe, again, in the literature, in the training, in the DVDs, that one of the things if you stick within a certain couple counties, you get to know the people, how to register the deed, and so it’s starting to get easy. I know the assessor by first name, I call up and order a deed, and I know how to work the websites, and all that. That learning curve, I want to take advantage of. I’m just going to scale up with the thought that these properties go for more, people are probably less inclined to sell them that low, but still will be a certain number that will. There will be more profit in it, so again, I think the numbers will equal out. Then if I do a similar mailing, then I can have similar results. My goal, really, if I were to look at this as all cash, and again, I’m not sure that I’m doing all cash, even this mailing. Just a pure all cash basis is, if I could make 60 or 80 thousand in the first year, as my part time extra thing I do, that would be great. That would just be a nice pool of money to be able to, that’s extra that I can buy stuff and then sell it on terms. Still, I would like to get some single family residential stuff, but this time buy it right, and have cash to do it, not the over leverage and all that. Yeah, some goals that way. My thinking right now is just finishing this mailing successfully and kind of what this next mailing is going to be, and then also maybe find another county that works as well. I think I’m busy and good for the next three to four months from what I can tell. Beyond that, I need to map out next steps, but that’s probably as far as I’ve mentally got, just because I kind of got swamped. Jack Butala: You know, you’re repeating what I did in the 90s. I purchased a few properties, double, tripled my money on them, and then I continued from there, and I accumulated about eighty to a hundred thousand dollars cash the first, I don’t know. I don’t remember exactly, but I think it was around the first two or three months. It was first twenty four months. Then, I used that money for, that was it. I never put any money in again. Even to this day, I have not put any money in. You can see what unfolded and the numbers in the ebooks. We couldn’t pay somebody to go on the program and make this stuff up. Jill DeWit: Exactly. I love it. This is great. Thank you for sharing your stories, and your time, and all of that. I love it. Mike Dugan: Oh, yes. It’s been a pleasure. Thanks for thinking of me and getting me on the call. Jack Butala: Absolutely. Again, you’re an inspiration, even for us. Jill DeWit: You want to plug your new company real quick, again? Mike Dugan: Oh, sure. It’s availableland.com, again it’s a work in progress. Again, it’s been kind of sitting while I’ve been scrambling with all this other stuff, but my IT computer guy is going to get a lot better. Availableland.com, and yeah. One of the things you just mentioned is, as I’ve seen these programs, have you know their people tell you their every day success stories does help inspire you and make it real. I talked to you about the competitor’s program that I didn’t like so much. The one good thing I remember, going to kind of a conference, is I ended up sitting next to guys who actually had done some mailings and gotten some results. Just knowing that every day people like me were really doing this, and really making money, was helpful and inspiring. That’s why I’ve been posting on the website. Part of me thinks, oh, this is kind of bragging or whatever, but I thought, you know, no, people really need to know that real people are doing this, and you really can make money if you keep plugging away, so that’s why I’ve been kind of posting just to keep other people moving along if they’re hitting some bumps. Jack Butala: That was my next question. How would your experience as a Success Plan been, Success Plan is our online membership. It’s kind of like our small little bigger pockets for what we all do. You’ve had a good experience there? Mike Dugan: Oh, yeah. I love reading what people are doing, and you know, when people relate some of their struggles you know, I kind of get that. It’s just been a great, to see people doing like minded things, and yeah, you do pick up tips and tidbits, tools, where, how to mail, and what currently is working. Just different things about different counties, even. So, yes, it’s definitely just good to always, at least peruse the titles, and pick off the ones that seem to peak your interest. Jack Butala: Great. Is there anyway we can improve that site, Success Plan? Off the top of your head? Mike Dugan: Let me think. I can’t think of any off hand. Well, here’s one. Again, I know if we put our names in with a certain format, we get alerted when a post has happened. I don’t know if there is like a switch in that system, or that platform, that would let you just get any updated post or question, period, whether your name was in it or not. Because I would be interested in just hey, any time anybody posted any question or response, I’d be happy just to get it pinging on messenger, or on a website or something. Conditionally, we do it now. Just the obvious get everything might be interesting. Jack Butala: You now what I’m going to do, I’ll change your user type. This is beyond the scope of this call, but I’ll change your user type to something upgraded, probably moderator, and you’ll be able to do that. Jack Butala: I built that site myself, so I actually know, unlike things, I actually know a little bit about it. Jill DeWit: I love it. That’s so great. What I heard, I was just thinking like, I heard the benefits of a live event, and I got to tell you, Mike. Steven and I keep throwing that around doing something like that, I don’t know, but I like hearing your story about sitting next to some people that are really doing it. We’ll keep you posted if we decide to do something like that. Because we love have you, maybe come on be a part of it, and tell your story, just like you’re doing right now. Jill DeWit: It’s really, really great. Mike Dugan: The warmer the weather, the more inclined I’ll be to come. Jill DeWit: I’ll call you in February, and you’ll be like, oh, I’m paying for my own ticket, Jill. Can I sleep on your couch? Sure. Love it. Jack Butala: Mike Dugan, it was such a pleasure to have you. I really appreciate your taking the time to explain your success. I’ve been strangely speechless on this whole call, I’m just really happy for you, man. Mike Dugan: Oh, great. No, I appreciate all the teaching and the coaching, so. Thank you, as well. Jack Butala: Great. If you need anything, you know where to find us. Mike Dugan: We do. We’ll find you. Jack Butala: All right, great.